As part of our normal everyday operations, CWHT gathers and uses certain information about individuals. This can include names, addresses, employer’s names, PPS numbers and certain results of medical tests performed with the individual’s consent. This policy describes how this data is collected, handled and stored to meet the data protection standards and to comply with the applicable law(s). This is any information relating to an identified or identifiable person. An identifiable person is one who can be identified, directly or indirectly, by reference to an identifier such as name, an ID number, location data, an online identifier or to one or more factors specific to the physical, genetic, mental, economic, cultural or social identity of that natural person. This is personal data revealing racial or ethnic origin, trade-union membership, biometric data, or data concerning a person’s health. The Data protection acts 1998 and 2003 describe how organisations must collect, handle and store personal information. These rules apply regardless of whether data is stored electronically, on paper or otherwise. • Not be transferred outside the European Economic Area (EEA), unless that country or territory also ensures an adequate level of protection. • The head office and all divisions of CWHT. • All staff of the CWHT. 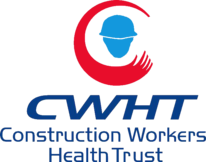 • All contractors, suppliers and other parties working on behalf of the CWHT. It applies to all data which the CWHT holds relating to identifiable individuals, even if that information falls outside of the Data Protection Acts 1998 and 2003. • Telephone numbers and any other information relating to individuals. • Reputational damage CWHT could suffer should hackers successfully gain access to sensitive data. Everyone who works for the CWHT has responsibility for ensuring data is collected, stored and handled appropriately. Each employee who handles personal data must ensure that it is handled and processed in line with this policy and data protection principles. The Board of Trustees is ultimately responsible for ensuring that the CWHT meets its legal obligations. The only people permitted to access data covered by this policy, are those who need it to conduct their work. • Data will not be shared informally. • CWHT provides appropriate training to staff to help them understand their responsibilities when handling data. • Employees will keep all data secure. • Personal data will not be disclosed to unauthorised people, either within the organisation or externally. • Data will be regularly reviewed and updated if found to be out of date, or no longer required, will be deleted. • Employees can seek advice from the appropriate authority if they are unsure about any aspect of data protection. Personal data is supplied by our clients freely and voluntarily on a standard CONSENT FORM which all clients must complete, prior to receiving our health assessment. This includes the client’s name, address, date of birth, mobile phone number, employer’s name, PPS number and trade or profession. Medical test results are written into our HEALTH ASSESSMENT BOOKLET which is returned to the client. NO MEDICAL DATA IS HELD BY US. We use and store the personal data of individuals within supplier organisations in order to facilitate the receipt of goods and services We also hold financial details, including bank identifier codes, so that we can pay you for goods and services. We deem all such activities to be necessary within the range of our legitimate interests as a recipient of goods and services. are retained for two years. CV referees may disclose personal information. Visitors are advised that each time they visit the CWHT Website, two general levels of information about their visit can be retained. Through this Website you may have an opportunity to send us information, such as through the "registration" pages or any other area where you may send e-mails. By choosing to participate in these, you will be providing us with some level of personal information relating to you or your company. This information will only be used by this site for the purposes for which it was provided by you, verification purposes and statistical analysis, and marketing and administration purposes. We are committed to taking all reasonable and appropriate steps to protect the personal information that we hold. We do this by having in place a range of appropriate technical and organisational measures. These include measures to deal with any suspected data breach. If you suspect any misuse, loss of, or unauthorised access to your personal information please let us know immediately. Details of how to contact us can be found at the end of this policy. STORAGE AND TRANSFER OF DATA. • An approved and nominated cloud-based storage/ software provider. • Ensure that personal information receives an adequate level of protection, we have put in place control measures with our approved third-party suppliers, who may have access to personal data, to ensure that it is treated by those third parties in a way that is consistent with the law on data protection. In certain circumstances, we ask for client’s consent for the purpose of providing a medical health screen and occasionally to assess client eligibility to be considered for benevolence. Depending on exactly which service we are providing, this consent will be clear and unambiguous. Article 4(11) of the GDPR states that (opt-in) consent is "any freely given, specific, informed and unambiguous indication of the data subject's wishes by which he or she, by a statement or by a clear affirmative action, signifies agreement to the processing of personal data relating to him or her." - You have to be aware of what you are to. - you need to take positive and affirmative action in giving us your consent. • We always ask clients to sign a dotted line on a hard copy application form. • We keep records of the consents given in this way. Where we have obtained consent to process personal data for certain activities, clients may withdraw this consent at any time and we will cease to carry out the particular activity. - When working with personal data, employees should ensure the screens of their computers are always locked when left unattended. - Personal data should not be shared informally. In particular, it should never be sent by private email as this form of communication is not secure. - Data must be encrypted before being transferred electronically. .
- Personal data should never be transferred outside of the European Economic Area. - Employees should not save copies of personal data to their own computers. Always access and update the central copy of any data. The lawful bases for processing are set out in Article 6 of the GDPR. At least one of these must apply for us to use personal data. b) Contract: the processing is necessary to execute a contract with the individual, or because they have made a specific request. f) Legitimate interests: the processing is necessary for our legitimate interests or the legitimate interests of a third party, unless there is a good reason to protect the individual’s personal data which overrides those legitimate interests. Tax, audit, or other authorities, when we believe in good faith that the law or other regulation requires us to share this data (for example, because of a request by a tax authority or in connection with any anticipated litigation). Third party service providers who perform functions on our behalf such as lawyers, auditors and accountants, technical support functions and IT consultants carrying out testing and development work on our business technology systems. Third party outsourced IT and document storage providers where we have an appropriate processing agreement (or similar protections) in place. Remote consultant GP and Cardiologist for the purposes of reviewing customer/ client health screening results. The law requires that the CWHT take reasonable steps to ensure data is kept accurate and up to date. • To ask for access to the information held. • To change the information if it is inaccurate. • To delete information (your right to erasure). • To ask us to limit what we use your data for. • To have personal data moved to another IT environment in a safe and secure way. • To make a complaint. Any individual can request CWHT to confirm what information is held about them. They can request us to modify, update or Delete such information. CWHT may ask for proof of identity and for more information about a request. If CWHT provides a client with access to the information held, no payment will be looked for unless the request is "manifestly unfounded or excessive". If further copies of the information is sought, a nominal amount may be charged where legally permissible. Where CWHT is legally permitted to do so, they may refuse a request. If they refuse a request, a valid reason will be given. Be informed of how CWHT is meeting its data protection obligations. Subject access requests from individuals should be made by email. Where previously given, the client has withdrawn consent to us processing data, and there is no other valid reason for us to continue processing. Please note that CWHT complies with local law requirements regarding data subject right to erasure and may refuse a request in accordance with local laws. • To comply with legal obligations or for the performance of a public interest task or exercise of official authority. • For public health reasons in the public interest. • For archival, research or statistical purposes. Under these circumstances, CWHT will disclose requested data. However, the data controller will ensure the request is legitimate, seeking assistance from the Trustee Board and from the company’s legal advisers where necessary. CWHT U39 Parkwest Enterprise Centre Lavery Ave Dublin 12. Fax: (+353) 57 868 4757.Click on this text to edit it.